You are at Home 2012 August Culture Conscious Living: Answering the Hero’s Call to Adventure! 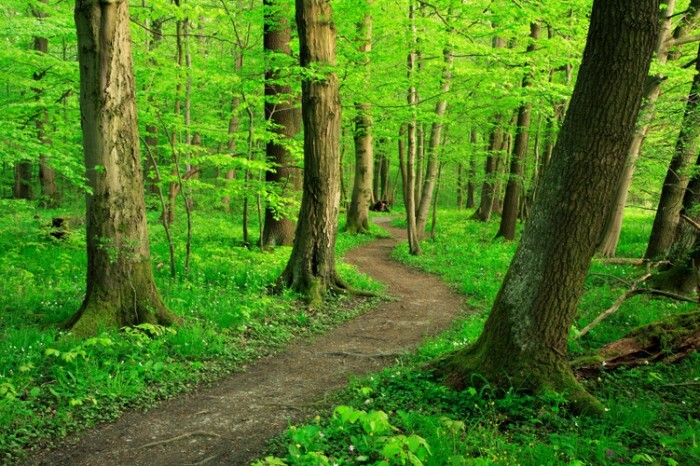 Conscious Living: Answering the Hero’s Call to Adventure! 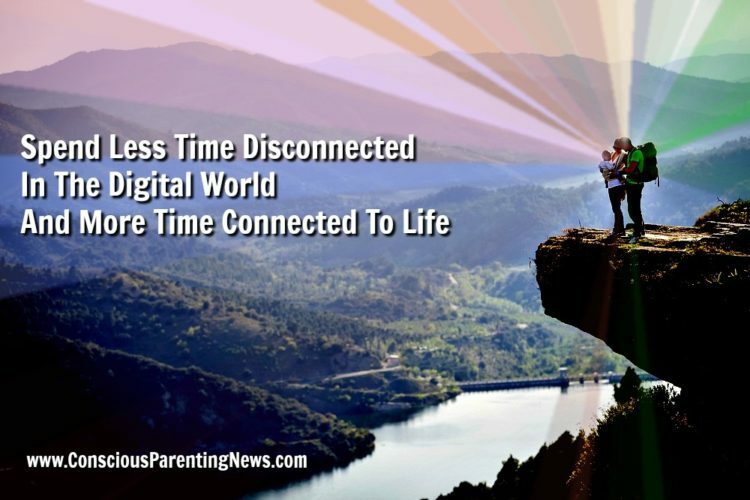 What are we really doing when we decide to live and parent consciously? In longing for a more peaceful and healthy life, what drives us to defy the chanted “You’ll spoil that baby if you pick it up,” or reject the GMO food, the overused antibiotic or weapons of mass distraction, and say, “No, I think there’s another way”? Could it be that in these seemingly small but life-affirming gestures the parent is “following the hero’s call”? One of the seminal works of the 20th century, Joseph Campbell’s The Hero with a Thousand Faces, presents the revolutionary insights of the Hero’s Journey, a universal motif of adventure and transformation that runs through virtually all of the world’s mythic traditions—and our daily lives. As Campbell discovered, there is really only ONE story at the core of all of our stories. The impact of the Hero’s Journey cannot be underestimated, as its archetypal model influences modern storytelling, and storytelling is how we make sense of our lives and the world around us. George Lucas credits Campbell’s book as the inspiration for Star Wars, our modern mythology of personal and world transformation. As a seventh grader in 1977, I vividly remember sitting slack-jawed in a dark theater watching Luke Skywalker run out of his uncle’s desert home in frustration, stand on a windy dune and stare wistfully at Tatooine’s two setting suns. (See the video below.) Luke was hearing the hero’s call to a transformative adventure. It meant rejecting everything that did not support his heart’s wisdom, even though he had no idea what it meant to follow that call, or where it would lead him. I still play that scene on YouTube when I want to remember the enchanted feeling of the hero’s call to adventure. It is magical. And so is our brief, transformative adventure with our children. What calls us as parents to envision a better world for our children and act on our heart’s wisdom? What is the cost of rejecting our culture? Should we think of ourselves as victims of an oppressive world and give up, or follow the call that will lead us through a journey that promises to transform ourselves and the world as we go. And that last part? That is not a fairy tale. That part is true, especially for parents who read Kindred. So, we are invisible in our culture to one another unless we make an effort to find each other? This effort to find and create community consciously can feel awkward when we labor under the industrial world’s value that “going it alone” is heroic. But looking at Campbell’s model, we can see that for thousands of years, heroes have always been surrounded by beloved companions on their adventures. Tragically, studies show that while our culture is profoundly lacking in social connections of any kind, parents in particular are the least likely group to create social bonds. For example, the oft-cited Better Together Report by the Saguaro Seminar of Harvard University’s John F. Kennedy School of Government warns that “the national stockpile of ‘social capital’—our reserve of personal bonds and fellowship—is seriously depleted.” And the Building Strong Families Initiative shows that most parents are, just as predicted, “going it alone”—even though the benefits of a social support system include better parent-child relationships and better school performance for children. 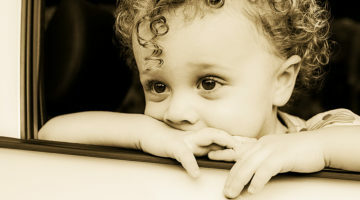 The study also showed that lonely parents were more likely to have lonely children. Echoing science’s recognition of the necessity of community for wellness, Campbell’s Hero’s Journey illustrates the need for the community of beloved companions. What Hollywood epic doesn’t show that really, a hero would never make it through the crisis without their version of Han Solo and Princess Leia for backup? In addition to needing companions on our journey, heroes also need to heed the advice of wise guides. In seeking out a few Yodas to talk with us about the importance of heeding the hero’s call and creating community, I asked a few wise guides to share their insights. Our first Yoda, Thom Hartmann, author of Threshold: The Crisis of Western Culture, says the obstacle to creating community is larger than some of us care to imagine or admit. When we say “our culture doesn’t support wellness,” this acknowledgement can sound like an understatement or an impossibility, depending upon your worldview. But Hartmann says parenting today, especially conscious parenting, is like playing cards underwater. “If you were sitting next to a pool and playing a game of cards, you would enjoy the game. If you tried to play that same game in the pool, underwater, it wouldn’t work. I know that is an imperfect metaphor, but really, you could say that our culture is interfering with our ability to play the game of life,” says Hartmann. Without a big-picture view, without awareness that conscious parenting can be a hero’s journey and the greatest adventure of our lives, many parents will believe themselves to be alone in their frustrations—especially Cultural Creative parents who are going against the grain of mainstream values. It is often these parents whom psychotherapist Robin Grille tends to in his Sydney, Australia, practice. 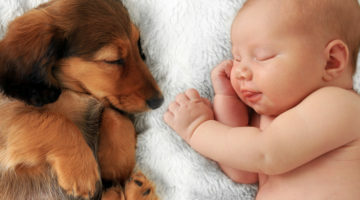 Grille says that since he wrote the book Parenting for a Peaceful World, part of his practice is spent counseling parents who are trying to do attachment parenting and conscious living in a disconnected world without understanding the big-picture truth of what that means. “Parents who meet together in groups need to be honest with each other about how hard parenting in our culture can be,” says Grille, also author of Heart to Heart Parenting Nurturing Your Child’s Emotional Intelligence from Conception to School Age. Lysa Parker, cofounder of Attachment Parenting International, shares with us how to begin. 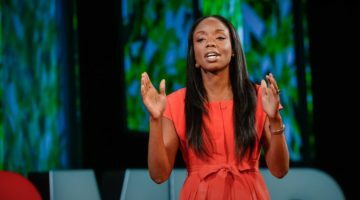 “I believe that awakening our consciousness begins with questioning culturally based assumptions about ourselves and how the world works,” says Parker. “We grow up steeped in a world of stories, myths and misconceptions about who we are, what we should be doing and when, often never realizing our true potential. When I decided to become a mother I began to question everything from birth to parenting practices. One striking example of a myth that is pervasive in the childrearing world is ‘Don’t pick up the baby because you’ll spoil it.’ My friend and colleague, Barbara Nicholson, and I began to question that statement by asking if that was really true. We wanted to know not only if that was true, but who originated it, a finding that surprised both of us. What are the benefits of finding companions for our journey? Cassandra Vieten, author of Mindful Motherhood: Practical Tools for Staying Sane During Pregnancy and Your Child’s First Year, says that supportive community is one of the most important things parents can have to stay balanced and grow a healthy family. While neuroscience now shows the necessity of responding to our children for optimal brain development and social science shows us that the ideal ratio for raising children is four adults to one child, neither of these foundations for wellness are made possible by modern culture. Suzanne Arms, founder of Birthing the Future, replies, “As the size of families has shrunk from extended and multigenerational down to a mere two parents or just one—and exhausted by jobs outside the home—the urgency for parents to have community around them increases. It’s imperative today that we reach out and create that community of support. It’s not just for ourselves, but for our children. How do we find the courage to answer the hero’s call and follow our hearts? “No hero I ever heard of did as he or she was told. In mythic terms this means leaving the cultural nest, walking on the edges of the unknown and there discovering what we are truly made of, which is nothing less than miraculous,” said Michael Mendizza, founder of Touch the Future. An industrial mindset would demand a prescribed list of to-dos and then check the boxes. Done. Go back to sleep. But a holistic heart, one that is listening to a call emanating from just the other side of the mechanical drone of “put the baby down,” dark GMO forests, pompous practitioners, mountains of grimy laundry and well earned exhaustion, knows. It already knows. There is nothing anyone can tell it. But we can find beloved companions to share the journey, keep each other awake, tell our stories around our internet campfires…and, who knows? Maybe one day find treasure in the arms of our grateful children. On a Mother (of a) Quest for 20 years as an award-winning journalist, activist and nonprofit visionary, Lisa Reagan explores the space between our unsustainable, industrial Old Story and the emerging New Story of what is possible for Cultural Creative families – who are listening to their children, while envisioning and exploring the way forward. 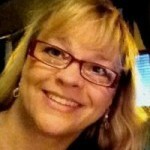 Lisa is a co-founder of the nonprofit Kindred World and the executive editor of Kindred. She is currently on a writing sabbatical and will return to Kindred in September 2018. Kindred World began as a grassroots conscious parenting movement in Virginia in 1996. (See a 2006 newsletter for fun here.) Kindred World’s founders and members, including Lisa, were heavily influenced by Virginia resident and human development scholar, Joseph Chilton Pearce, whose seminal works guided the organization in its infancy. Pearce’s work helped define the core issue for the Conscious Parenting Movement: the Bio-Cultural Conflict. Pearce demonstrated in his lifetime works that our biological imperatives were at odds with cultural imperatives, placing humanity at risk for maldeveloped brains, culture and an unsustainable future. Read more about Joe’s work here. 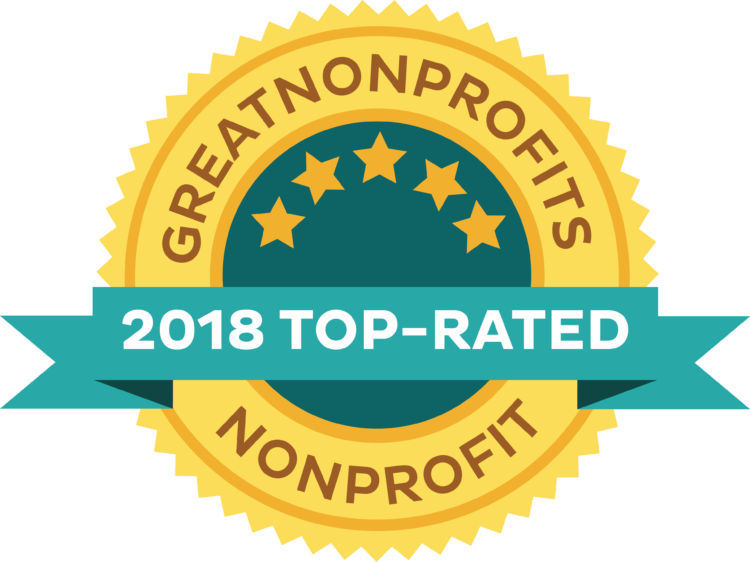 Today Kindred World is an award-winning nonprofit and Gold Ranked Guidestar member with multiple and growing initiatives to serve Cultual Creative families, professionals and the public. While earnestly investigating the gauntlet of new motherhood, Lisa shared her personal stories like Soul Nourishing Gifts of an Accidental Tribe, the Darkside of the Natural Parenting Movement, and Spiritual Composting. Her move toward human consciousness research to help her understand the lack of family wellness resources, public policy support and community connection in American culture is represented in her work following the discovery of the Institute of Noetic Sciences, IONS. In 2011, her exploration of the obstacles to conscious living led her to become a trained facilitator of the Worldview Literacy Project through the Institute of Noetic Sciences, IONS. In 2012, she served as the Writer-in-Residence for the first Residency Project, Omnibus One at the Earthrise Retreat Center, IONS’ campus in Petaluma, California. During her retreat, she was interviewed about her Mother (of a) Quest for the documentary film, The Love Bomb. The Shift Reports published by the Institute of Noetic Sciences, IONS, in 2007, first alerted Lisa to the Old Story and New Story “shifting” taking place in Western culture. It was the discovery of family wellness advocates as Cultural Creatives through sociologists’, Paul Ray, PhD, and Sherry Anderson, PhD, book of the same name (also sponsored by IONS) that helped her feel encouraged and excited by the grassroots and growing Conscious Parenting Movement. 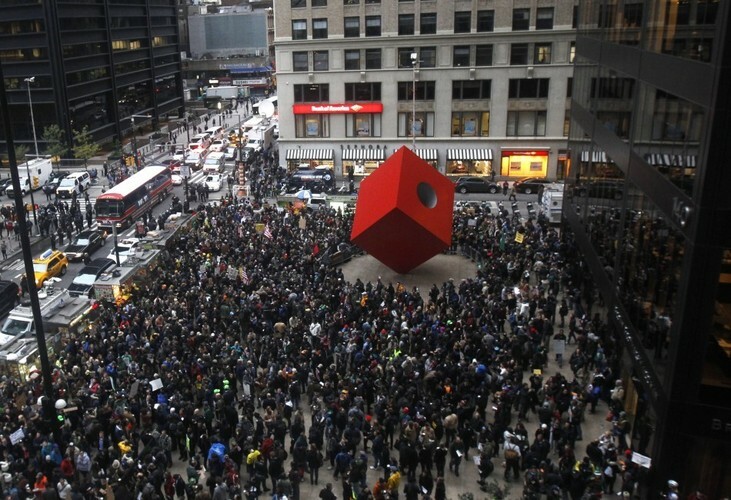 Cultural Creatives were shifting the culture toward sustainability and wholeness through their value-reflected purchasing power, and they were a growing and powerful group, over a quarter of the population in most developed countries. In seeking a creative and empowering format to present the Old Story/New Story to parents and practitioners, Lisa turned to Joseph Campbell’s Hero’s Journey for guidance on self-transformation as a path to transforming our unsustainable culture. 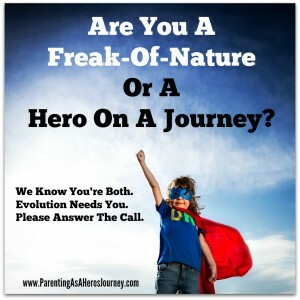 The Parenting As A Hero’s Journey Virtual Retreats encourage parents to “Answer the Hero’s Call” that rejects status quo, mainstream society and instead follow their heart wisdom’s call to find or create a New Story. This New Story of Childhood, Parenthood and the Human Family, as well as Lisa’s Mother (of a) Quest has been presented at conferences, small groups and to professionals and practitioners. 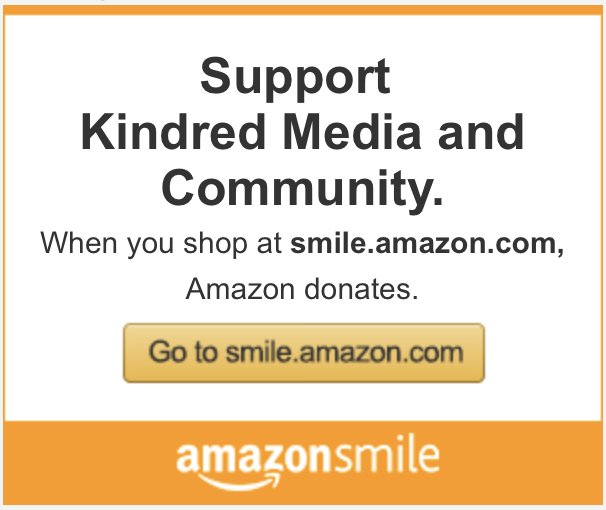 An alternative media and nonprofit initiative, Kindred’s mission is to seek out and present the under funded and reported thought leaders of the New Story and Conscious Parenting Movement. You can find her podcasts in Kindred Fireside Chats. 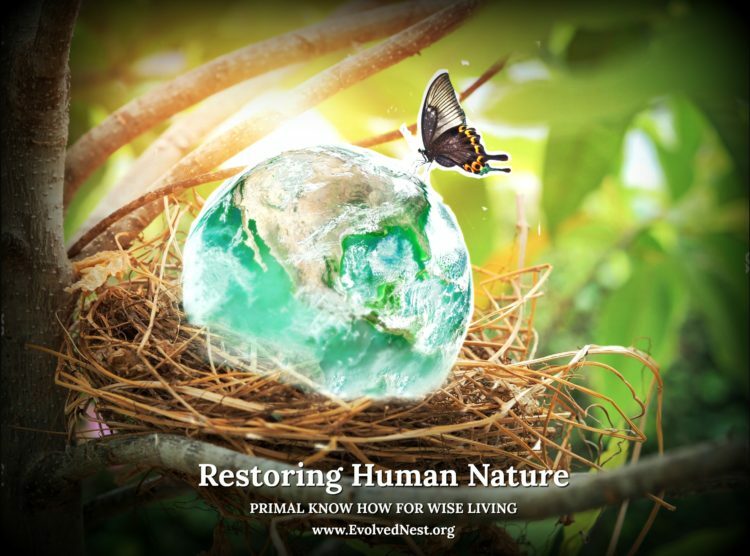 These interviews with conscious living leaders continue to explore the New Story of holistic family wellness at a time when the United States ranks last among all developed nations for infant, child and maternal wellness (See the United Nations report). Kindred’s New Story video series, produced by Lisa and her husband of 30 years, Keith, are featured on Kindred’s Vimeo and You Tube Channels. In December 2013, Kindred sponsored Australian psychotherapist, Robin Grille, on a Parenting for a Peaceful World USA Tour. 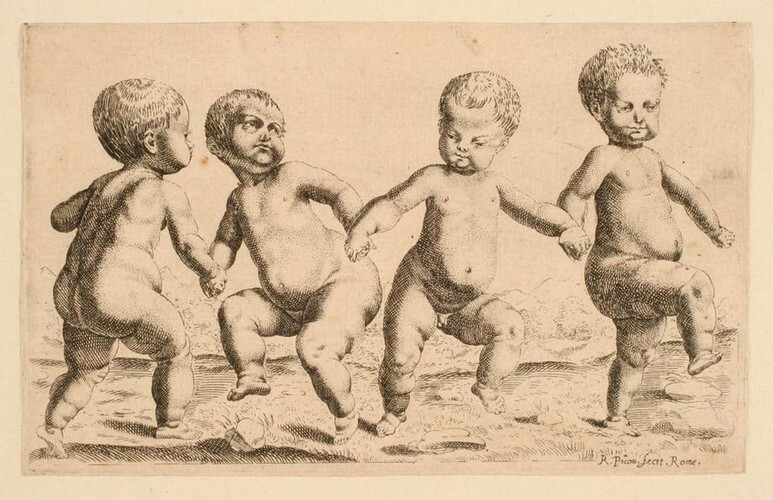 Grille’s work is a formidable account of the psycho-social-history of parenthood. You can view videos from the tour here and read his work on Kindred here. 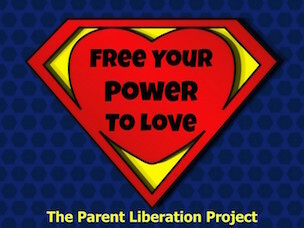 Watch Lisa and Robin talk about the Conscious Parenting Movement as the flip side of the Children’s Liberation Movement in a video from this tour here. In December 2015, Lisa received an Award of Appreciation from the Association for Prenatal and Perinatal Psychology and Health, APPPAH, at their 19th International Congress in Berkeley, California. 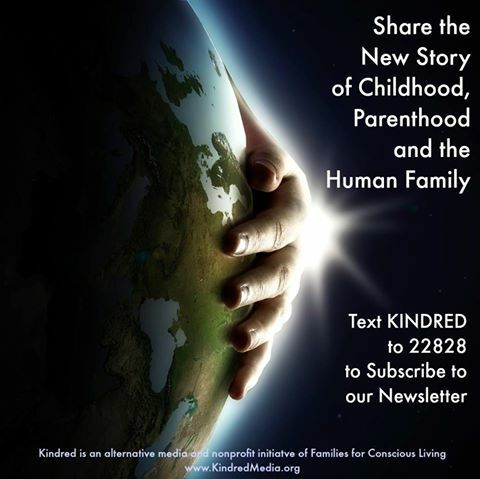 Kindred continues to work with APPPAH as a Pioneering Partner to bring forward the New Story of birth psychology. A new documentary, In Utero, now explores the origins of human consciousness, and study groups can utilize Kindred’s In Utero Film and Discussion Guide. Lisa collaborated with Stephen and Kathleen Gyllenhaal, In Utero’s filmmakers, to bring Kindred’s Film and Discussion Guide to an international audience. See Kindred’s birth psychology videos here. From 2007 to 20013, Lisa’s vision of serving Cultural Creative families was carried forward through Kindred’s Pioneering Partners Project with the International Chiropractic Pediatric Association, ICPA, and over 300 international Pathways Connect Gathering Groups sponsored by the ICPA’s Pathways to Family Wellness trade magazine. The Pathways Connect educational program was based on a decade of Lisa’s work with FCL community building. (Listen to the FCL story.) 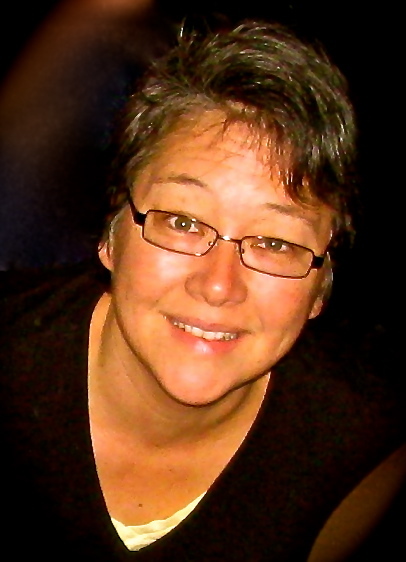 Lisa served as Pathways associate editor during this time. Read her stories here, videos here, and interviews here. In 2013, Pathways magazine received three Hermes awards for the issue featuring Lisa’s interview with Jamie Grumet on her experience as TIME magazine’s now iconic breastfeeding cover mom. Read the original interview, and download the audio, The Cover Shot Heard ‘Round The World: An Interview With Conscious Parenting Revolutionary, Jamie Grumet. 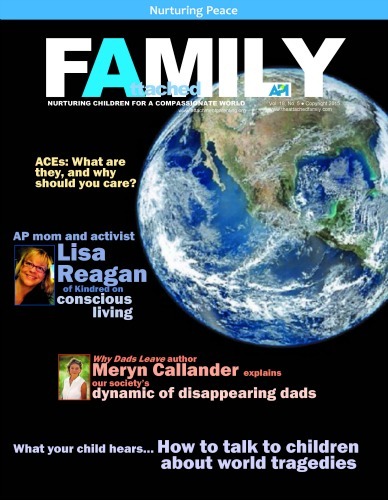 In 2015, Lisa was interviewed about her passion for and long history of advocating for families in the October 2015 issue of The Attached Family. Lisa is honored to serve on the advisory board for the first-of-its-kind, Museum of Motherhood, MOM, in New York City, where she helped to coordinate the first Mindful Motherhood Conference in November 2011. Watch Robin Grille talk with Martha Joy Rose, MOM curator and founder, about the history of motherhood here. She serves on the venerable Touch the Future’s board of directors as of 2012, and is very proud of TTF’s new adult learning center, The Academy, featuring 30 years of video interviews with thought leaders and research scientists who connect the dots between child development and sustainable living. In 2015, TTF launched the Joseph Chilton Pearce Library. She also serves on the Resource Advisory Council for Attachment Parenting International and their Journal of Attachment Parenting International. In her home state, she has served on the board of directors for the Virginia Breastfeeding Task Force since 2012 and represents Attachment Parenting International on the Virginia Breastfeeding Advisory Committee. Her professional journalism background includes serving as the East Coast Editor-at-Large for the groundbreaking, natural parenting magazine Mothering in the early 2000s. In 2003, she simultaneously became the US Contributing Editor to the first global magazine on sustainable family living, byronchild, originally out of Byron Bay, Australia and founded by Kelly Wendorf. In 2009, byronchild, now named Kindred, moved to the US and became a nonprofit initiative of Families for Conscious Living. From 2007 to 2013, FCL partnered with the International Chiropractic Pediatric Association, ICPA, to produce the award-winning magazine, Pathways to Family Wellness as a nonprofit collaboration with Lisa serving as the publication’s associate editor and creator of the community building and parent education program, Pathways Connect. From 2007 and 2012 – 2018, she served as a judge for the Society of Professional Journalists’ Mark of Excellence college journalism awards. In the very beginning of her career, she worked at the Virginia newspaper, The Daily Press, where she earned two Virginia Press Association awards for Gulf War Special Editions of the paper, Coming Home Proud. Along the way, in exploring paths to sustainability and wellness, Lisa became a Reiki Master Teacher, then an organic Community Supported Agriculture, CSA, farmer (read about her farming adventures in Beyond Sustainability; The Regenerative Promise of Biodynamics). She currently lives with her family on their small farm in Toano, Virginia, where she is writing what is now many books about her Mother (of a) Quest in the Conscious Parenting Movement. Next Article Entheogen: Awakening the Divine Within – Full Documentary! 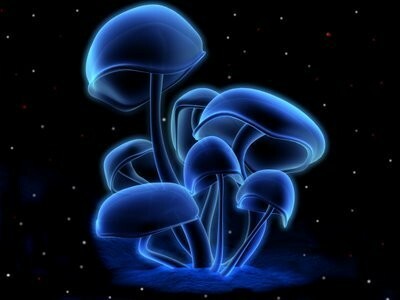 Entheogen: Awakening the Divine Within – Full Documentary!